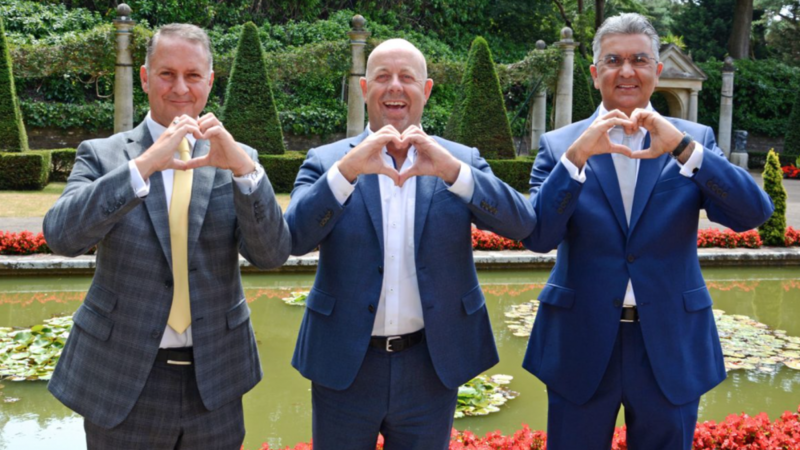 Dr Anil Ohri, chief executive of the Dorset Heart Clinic at the Royal Bournemouth Hospital, gave his message to more than 80 attendees at the Dorset Chamber of Commerce and Industry’s (DCCI) Signature Lunch. The sell-out event, sponsored by Poole-based wealth management firm Blue Sky Financial Planning, featured Dr Ohri as its keynote speaker. He is founder, owner and chief executive of Regent’s Park Healthcare (RPH). He is a Southampton medical school graduate with 25 years of healthcare and business management experience spanning a career as a medical officer and surgeon in the British Army and NHS. RPH is the UK’s leading independent cardiology services provider. He founded the company in 2002 and today the organisation operates an integrated national platform providing cardiology services across 42 NHS hospitals. To date RPH has delivered more than 107,000 cardiology procedures across its facilities. Experienced and award-winning businessman Dr Ohri was addressing guests at the Italian Villa in Compton Acres, Poole at the event held by the DCCI, Dorset’s leading business support organisation. He said afterwards: “Echoing what Gary said to attendees, business leaders should never take their health for granted. “Heart disease can sometimes present without symptoms. If heart disease is diagnosed at the earliest possible stages, before symptoms develop, it can be successfully treated and managed. Blue Sky Financial Planning, based at Coy Pond Business Park in Poole, is a Platinum Partner of the 700-member DCCI, the voice of Dorset business, and founding sponsor of the Young Chamber programme. Managing Director Gary Neild, who founded the business in 2002, offered free cardio checks to new business owner or director clients earlier this year and underwent a health check himself with Dorset Heart Clinic, with a clean bill of health. He said: “Blue Sky’s association with the DCCI means we are closely involved in helping greater numbers of businesses in Dorset to thrive – beginning with ensuring that owners remain in good health. Gary told lunch guests: “We business owners/directors spend a lot of time working hard, putting the hard yards in, looking after everyone else whilst hopefully accumulating wealth, but what proportion of our time do we spend ensuring we are fit and healthy? “I figured that I work hard and I owe it to my colleagues, my family and indeed myself to ensure I am fit for purpose. I am encouraging you to do the same. “At Blue Sky, unusually, for a financial advisory practice, we are not focused on selling products. Our focus is on enhancing our clients’ well-being through financial planning. Dorset Heart Clinic (DHC) is a brand new, state-of-the-art private patient cardiology centre located within The Royal Bournemouth Hospital and is the largest dedicated private cardiology centre on the south coast of England. The heart clinic is led by a large group of consultant cardiologists who use cutting-edge medical equipment to offer a wide range of treatments and diagnostics for all aspects of heart disease. DHC is a formal partnership between RPH and The Royal Bournemouth and Christchurch Hospitals NHS Foundation Trust. Profits from the treatment of private patients are re-invested back into frontline NHS care. RPH has received national awards for showcasing disruptive innovation which successfully challenges current health service operating models. Dr Ohri recently received the 2018 Award for Company Director of the Year by the Institute of Directors for both the London & South East and South West of England regions. In the UK cardiovascular disease (CVD) accounts for 25 per cent of all deaths – that’s 160,000 a year, or one every three minutes. Around 42,000 of those people are under 75. The British Heart Foundation also estimates there are seven million people living with CVD and that the total annual healthcare cost is £9 billion.